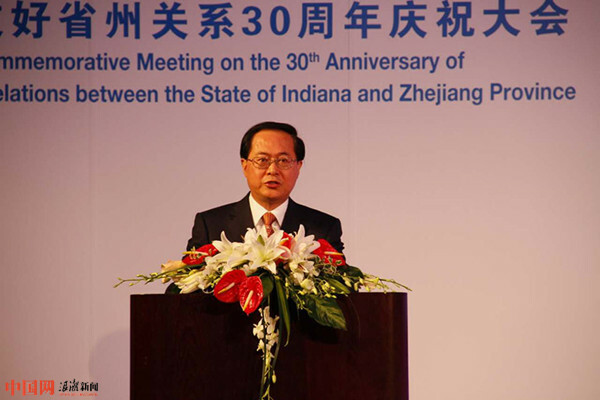 This year is the 30th Anniversary of Establishing Sister Relations between Zhejiang and Indiana.The celebration of 30th Anniversary of Establishing Sister Relations between Zhejiang and Indiana was held in Indiana Convention Center, on the morning of 24th American local time. Burns, American Vice President, who was governor of Indiana, wrote to congratulate Che Jun, secretary of the CPC Zhejiang Provincial Committee,and chairman of the Standing Committee of Zhejiang Provincial People's Congress. He welcomed the visit of Che Jun’s delegation to India, congratulated the 30th anniversary of Establishing Sister Relations between Zhejiang and Indiana. Burns said that in the past 30 years, Zhejiang and Indiana have conducted in-depth cooperation in the fields of economy, culture and education, which have yielded fruitful results and the friendly relations have far-reaching influence. I am glad to see that the friendly relations between the state and province have stood the test of time. Today, the world is getting closer and closer. 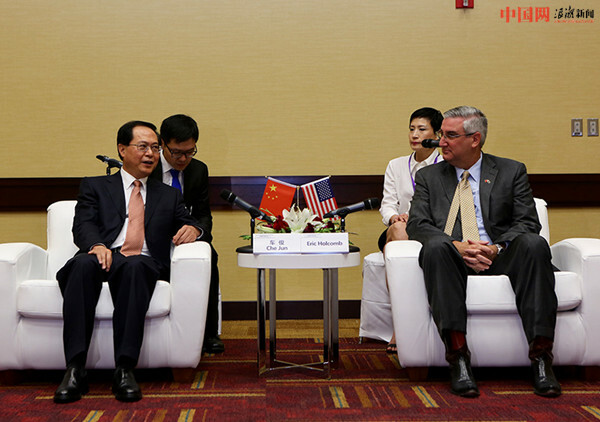 The sister relations between Zhejiang and Indiana will promote the development of Sino-US relations. Che Jun and Hall Kome, governor of Indiana,and Hong Lei consul general for the China at Chicago attended the meeting and delivered a speech. Che Jun and Hall Kome signed the agreement deepened sister relations between the the state and province and witnessed the signing of cooperation projects between the the state and province. Previously, Che Jun met with Hall Kome, the two sides exchanged views on deepening exchanges and cooperation. Che Jun on behalf of the Provincial Party committee, Provincial Government and the people of Zhejiang send sincere greetings and best wishes to the people of Indiana. He said: "A bosom friend afar brings a distant land near". 30 years ago, Zhejiang signed an agreement deepened sister relations between the the state and province, and planted a tree of friendship. Now the tree is deep and rich with fruit. Over the past 30 years, the exchanges between the state and province have become closer, the friendship has deepened, and the economic and trade cooperation has become more and more in-depth. We has become good partners of you with me. There is an old saying in China: a man should be independent at the age of thirty. Standing at a new starting point, the exchanges and cooperation between the the state and province should be expanded to a new level. At present, Zhejiang is taking industrial innovation as the main battlefield to speed up economic transformation and upgrading, with the "One Belt And One Road" as its leadership to expand reform and opening up, and strive to form new advantages that lead to future development. Indiana has advanced manufacturing and modern agriculture leading the world. 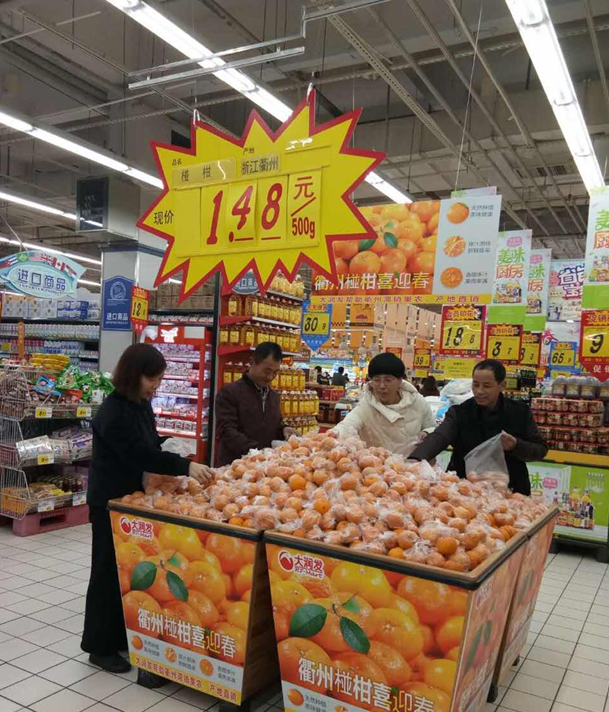 Zhejiang has a wide market and abundant private capital. The two sides have strong economic complementarities and broad cooperation space. We hope that the the state and province will further expand economic and trade cooperation. On the basis of strengthening high-level visits, we will further promote exchanges and cooperation in education, tourism, sports and other fields, actively creating conditions for young people to strengthen exchanges and deepen friendship and strive to create a new situation of mutual benefit and win-win cooperation. Hall Kome welcomed Che Jun with Zhejiang province delegation to visit Indiana. He said that the visit of friends from Zhejiang province in China not only brought friendship, but also brought about various opportunities offered by China's booming economy. 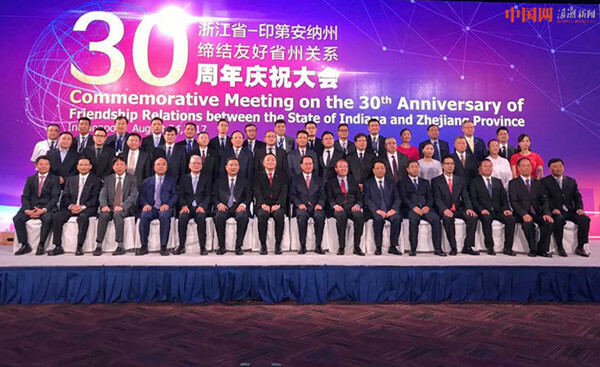 30 years since Indiana has established sister relations with Zhejiang, Indiana and Zhejiang have achieved fruitful results in practical cooperation in various fields. Indiana attaches great importance to consolidating and deepening its sister relations with Zhejiang, hope to take delegation's visit as an opportunity for our state and your province to establish closer relations of cooperation, together create a better future. According to the agreement deepened sister relations between the the state and province, both sides will deepen exchanges and cooperation in various fields, especially to strengthen cooperation in Advanced Manufacturing, Life Sciences, Information Technology, Aerospace Industry, and agriculture and other key areas. Before the celebration,Che Jun also visited the representatives of Zhejiang entrepreneurs with investments or trade in the United States. 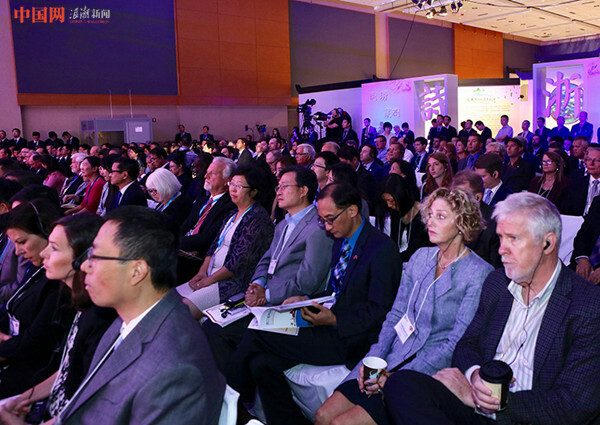 After the celebration, the leaders of the two provinces visited "Idyllic Zhejiang" and 30th anniversary exchange review exhibition tour of Zhejiang and Indiana,and visited the entrepreneurs of both sides who were communicating with each other. The site of the docking meeting is very lively, hundreds of Chinese and foreign enterprises to carry out one to one discussion, discuss project cooperation. Many companies say that the docking activity is pragmatic and efficient, and is highly targeted, and got the funds, projects, products, contacts they want. According to statistics, the same day, the two sides signed a total of 16 enterprises, involving imports of agricultural products and food, bio medicine, technology research and development, artificial intelligence, furniture production and other fields, the total amount of the contract is $85 million.